We at Willprint Shepparton have recently submitted an entry into the 2012 Printing Industries Craftsmanship Awards (PICA), Victoria, which culminates in the industry's annual night of nights in Melbourne early in November. As our regular followers will know, we won gold at this prestigious event last year with our How Green Are We entry into the category of Sustainable Green Print (SGP). After gaining our Level II SGP accreditation this year (for the third consecutive year), we have entered the same category at PICA again. 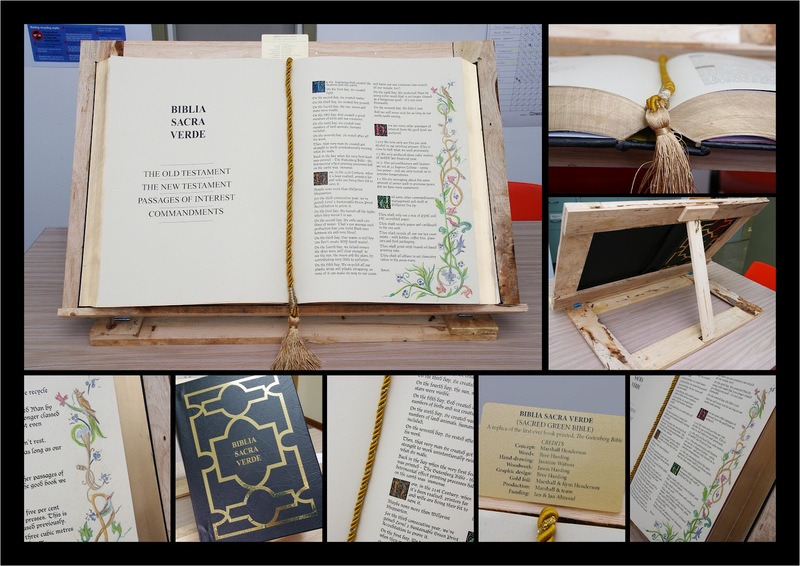 Our creative team made a replica of the first-ever book printed - which happened to be The Gutenberg Bible - as our entry. We re-wrote the book, you might say, with information about the determined green efforts we've adopted to reduce our negative footprint on the environment. We took the concept of the 'seven days', the 'ten commandments' and 'bible passages' for our entry. We printed it on parchment, bound it in leather (vinyl) and foil, attached a gold tassle, had one of our creative staff hand-draw floral detail on the opening page (just like the original bibles), while one of our printers knocked up a display stand from an old pallet. We were excited with our finished product and we hope the judges are, too. Judging has now closed, so we wait with bated breath to discover if we're in the running for the gold (or silver, or bronze) again. Order and design printing online!